There was a time when I thought I had (along with my friends Rachel and Kristan) created the most magical cake in the world. But now, I know I am wrong. And the proof is in the photo evidence above. Now that cake is magical, people. It was the winning entry in Cake Central's Awesome! Magical! Sweet! cake decorating contest...the prize of which was, well, a signed copy of my newly-released book, CakeSpy Presents Sweet Treats for a Sugar-Filled Life ! The cake is inspired by beautiful illustrations of Jessie Oleson. My daughter loved them so much that I had no choice but to make this cake. The first to be eaten was CCoggie (Cuppie Doggie), there are also Cuppie Boss, Cuppie Fairy, Player, Fitness Fanatic, Photographer, Pets and Sweets Lover, Decorator, Baseball Player and Awesome Cuppie Boss Worshhipper. The cake is vanilla, chocolate and strawberry cake, filling vanilla and cocconut IMBC, covered in fondant. Decorations fondant, gumpaste, marzipan, marshmallows and liquorice. Everything is edible (except wires and Rainbow Dust). ...now, I may be biased, but that's pretty darn sweet. 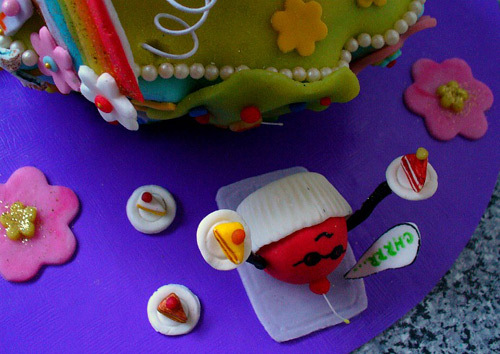 Let's have a look at some detail shots of the cake, ok? Congratulations to the winner! 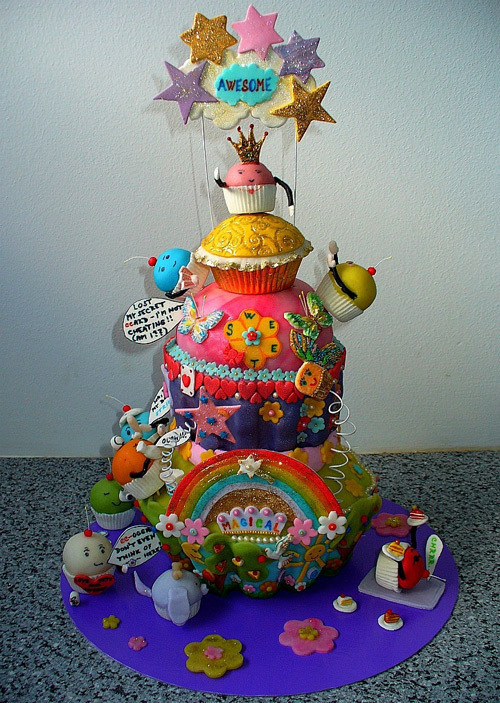 Check out details of this magical cake, and browse through the other entries, on the Cake Central website!